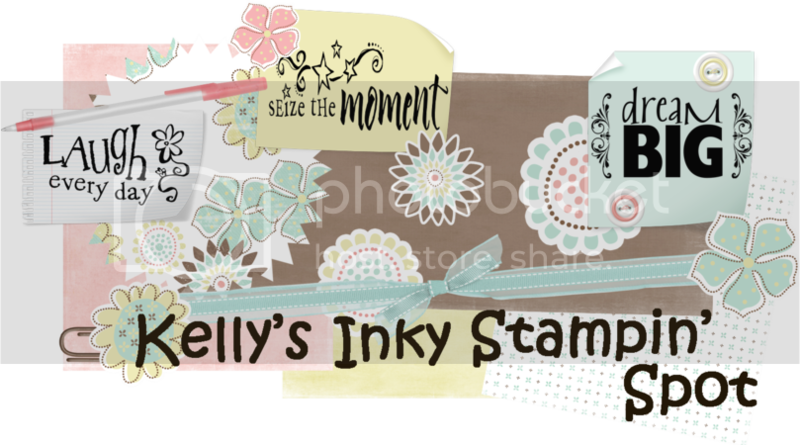 Kelly's Inky Stampin' Spot: Bella!!! I think I am a total Addictabella!!! Okay no, I know I am!!! Hahahaha!!! Just a simple Bella card to share with you ... Have a great Bella day!!! Kelly, I love the bright colors and layout. Thanks for sharing. So Cute Kelly! Really love it! I don't have any Bellas. Looks like I am going to have to get some now. So cute! I love the designer paper. Love the springy colors! Cute card! Very cute...love the layers of paper! I LUVAH your BELLA! MWAH! Such a cute card, Kelly! Love the happy spring colors! : ) Really pretty! Very cute card and yes those Bellas can be addicting. I think we are all Bella addicts, Kelly!! This card is really cute! Such bright, cheery colors!! SUPER cute kelly =o) i might case the layout for a swap i'm working on!! Love it! I love bellas too! Your Bella is beautiful all decked out in her spring colors! Very cute........ I don't have any Bella stamps - but our LSS has a whole whack of them ... I must might have to check them out next time I'm in. I really like the colours and the layout of the card. GReat job on this card! I am telling you we should get together for coffee - I am in SAnford!! This is too cute Kelly and your coloring is fab! tfs!! I love how simple this card is and the colors are fab!